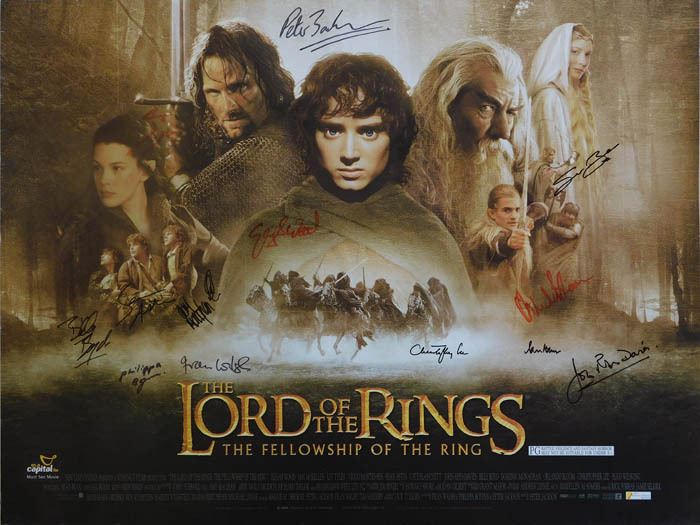 Movie Poster Art Gallery: Catalogue Page 1. Original U.S. 27"x41" One Sheet poster, style 'D'. Art by Drew Struzan and Charles White III. 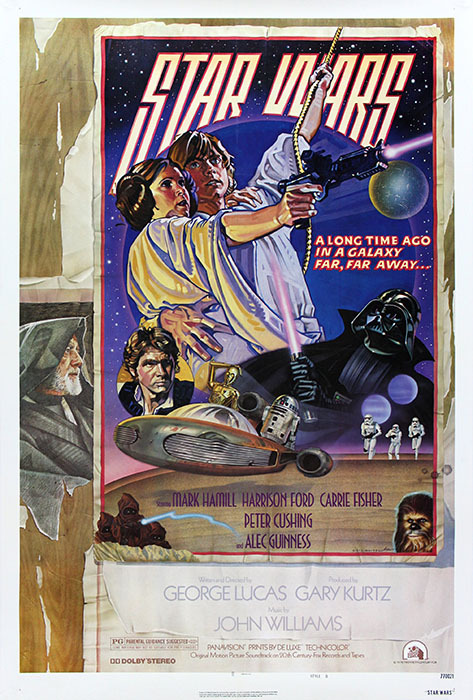 The wonderful illusionistic design from 1978 was George Lucas's personal favourite. Charles White delegated the main portraits to Drew Struzan whilst painting Vader and the smaller figures below. Stuzan went on to be become Lucas's first choice poster artist. £850.00 linen backed and conservation framed. Original U.S. 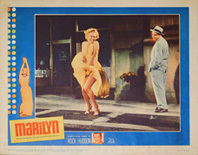 Lobby Card, 11"x14". Best card from the Lobby Set for the 1963 documentary film on Monroe narrated by Rock Hudson. The famous moment from 'The Seven Year Itch' and one of the classic Monroe images. 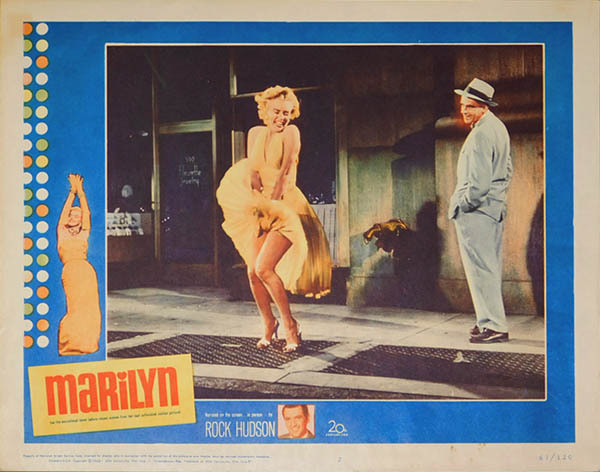 The scene was shot both in the studio and on location in Manhattan, on 52nd Street. 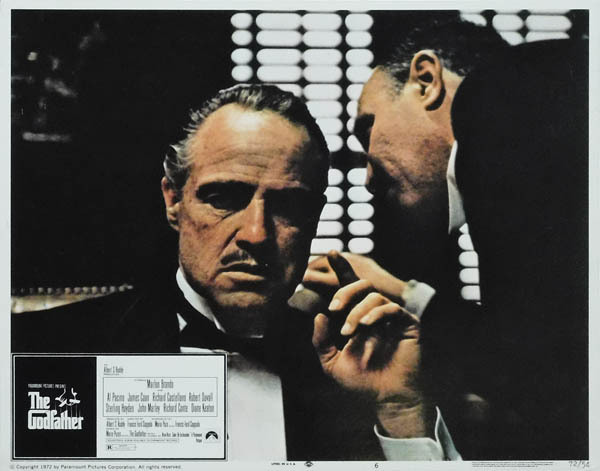 The most famous still image from the film: the undertaker Bonasera asks his request of Don Corleone. 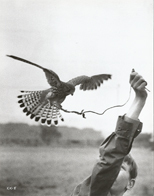 Steve Schapiro was the on-set photographer for the entire trilogy. 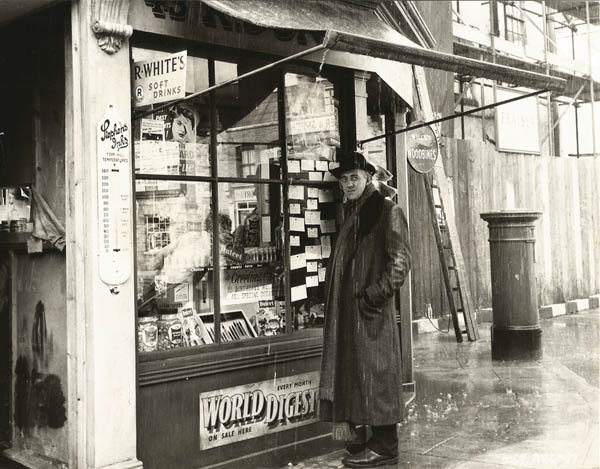 He captured many of the films' definitive images. 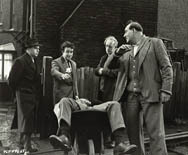 Despite the heavyweight material of 'The Godfather', Schapiro has spoken of the enjoyable and relaxed atmosphere among the actors during the filming. SOLD - please inquire if you'd like us to source this for you. Hepburn is wearing the opera scene point d'esprit ball gown created by Givenchy, the designer with whom she forged an enduring and style-defining partnership. 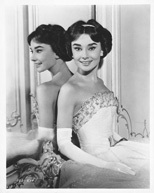 This gown was one of many costumes that Hepburn would send over the years by the box-load to her friend Tanja Star-Busmann: “It was unbelievable" she recounted to Vogue in 2009. "It was such a spoil! She was always busy in those days but still she thought if it. Fame did not change her a whit—she was the most unselfish person you can imagine". 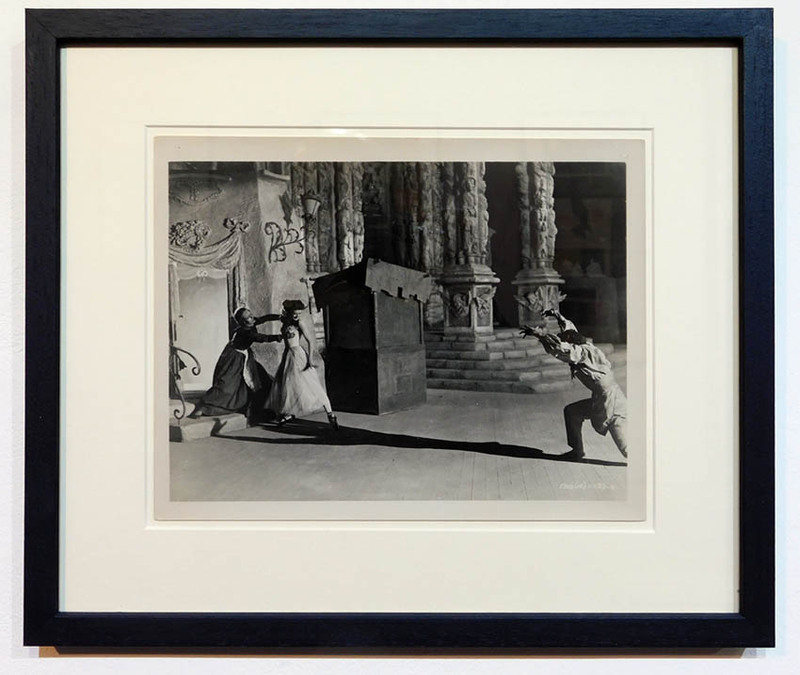 Exceptional vintage still, with fascinating set detail, from the ballet sequence, with Léonide Massine in maximum expressiveness as the demonic shoemaker, dragging Moira Shearer back. One of the finest still images from Powell and Pressburger's masterpiece we've yet seen. Rare. 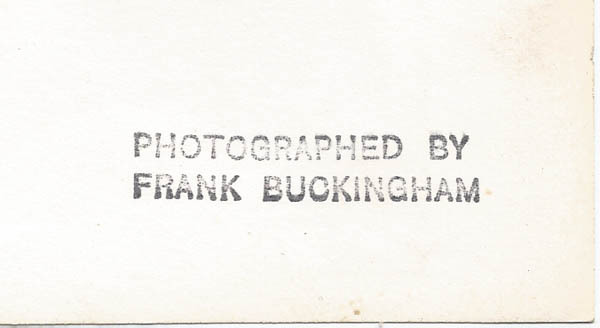 Original Frank Buckingham photograph 7¾"x10" with original editorial mark up. Photographer's stamp on the reverse. 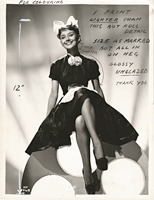 Rare original studio portrait with Audrey Hepburn in costume as a cigarette girl in one of her very earliest film appearances. The scarce original mark up on the photo is likely related to its use in magazine reproduction. 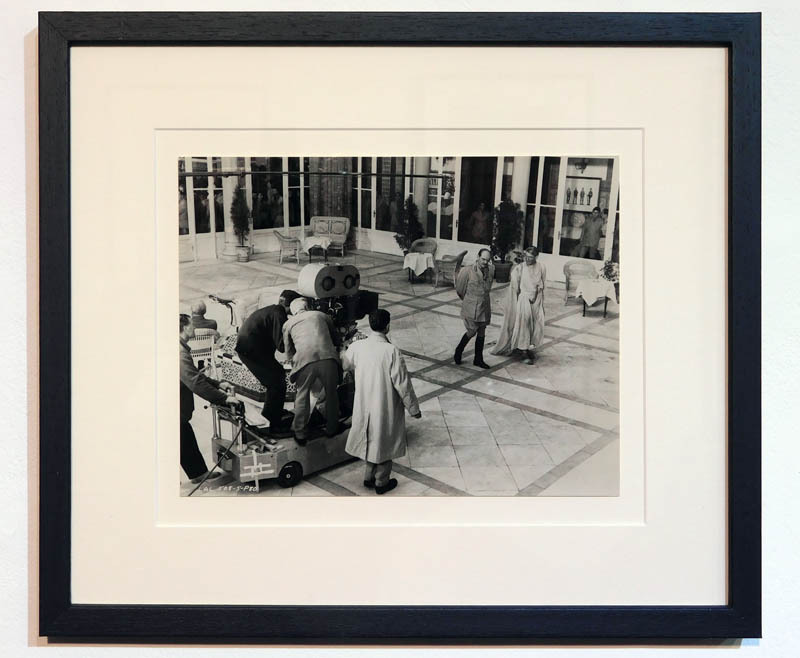 Rare original photograph showing David Lean and director of photography Freddie Young shooting the scene where Allenby and Lawrence converse after Lawrence's dramatic entry into the Officer's Club, where he reveals that he and the Bedouin have captured Aqaba. The Cairo Officer's Club scenes - and others - were filmed at the Alfonso XIII Hotel in Seville's Plaza de España. Photograph likely by Arthur Evans. 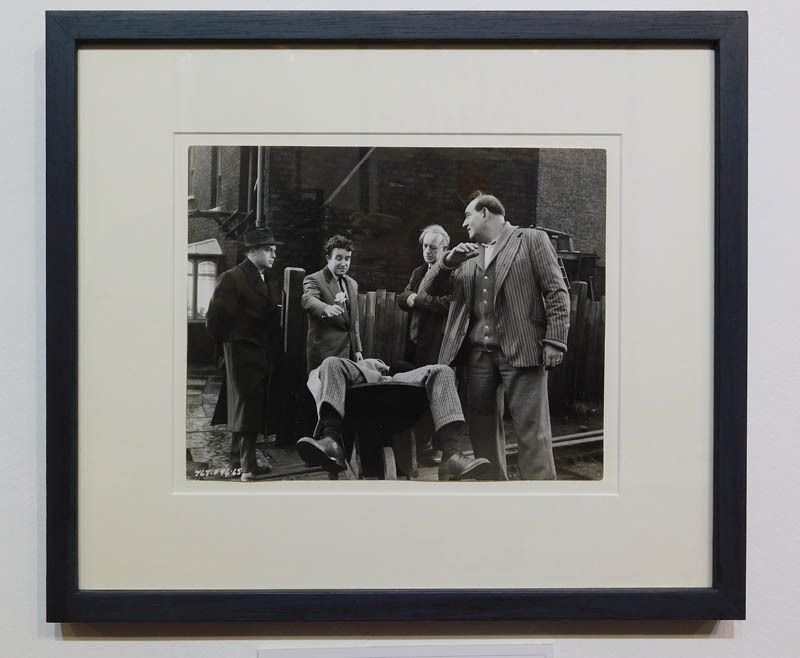 This fine image was acquired in 1972 by a major American collector from a significant collection put together by an American film critic who had passed away in 1970. 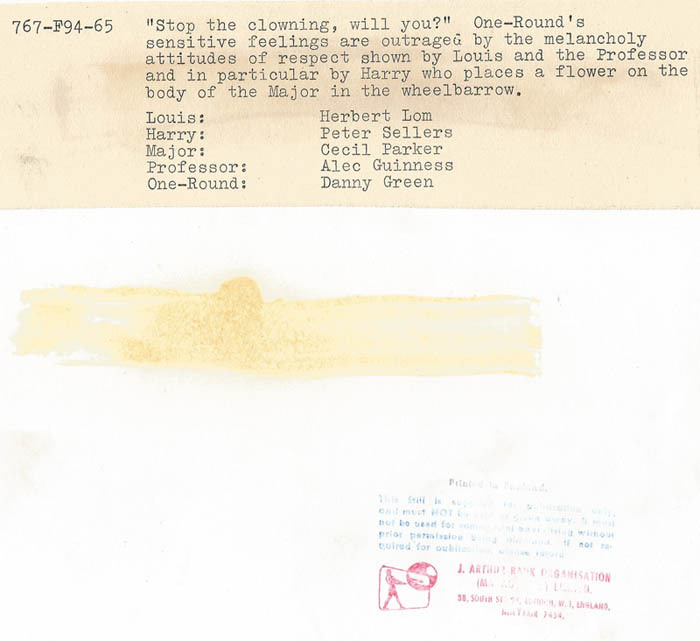 Original 1972 collection stamp on the reverse. Original 7¾"x9½" Rank press photograph. A sinister Professor Marcus follows Mrs Wilberforce's route home. One-Round disapproves of 'clowning around' at The Professor's mock 'funeral'. SOLD - please inquire if you'd like us to source this for you. >. 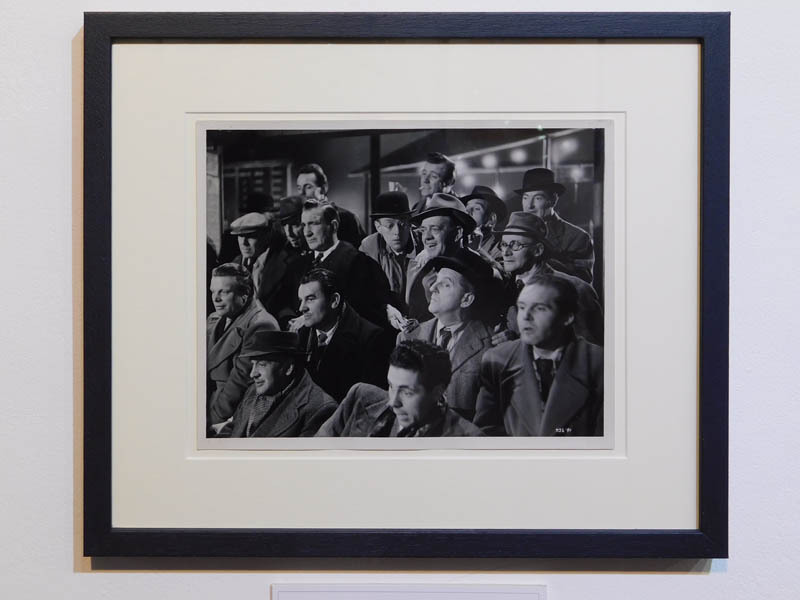 Original 7¾"x9½" Ealing Studios photograph. 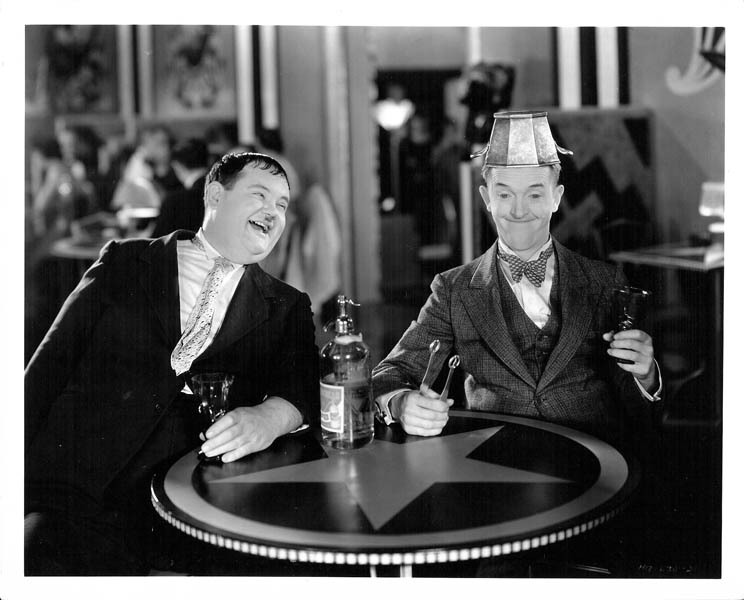 Holland and Pendlebury at the dog track ostentatiously discuss the lax security at Pendlebury's foundry as part of their emergency plan to entice and then recruit suitable crooks for their audacious plan. Original 10"x8" Hal Roach Studios photo by Stax. Very rare original studio photograph by Bud 'Stax' Graves. 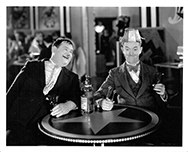 Really vintage material on Laurel and Hardy rarely surfaces any more, and this exceptional vintage photograph is not only from one of their finest films, but is in near mint condition. See photographer and Hal Roach Studios stamps on the reverse. Original Australian Daybill poster 13¼"x27"
Original Australian Daybill poster 30"x13". Producer Gary Kurtz visited Fox in London with the aim of commissioning new artwork with closer likenesses and incorporating the film's wider characters. Tom Chantrell's artwork fulfilled the brief with aplomb, establishing the character-driven template for all the main posters in the series to come. Chatrell's artwork also featured on a very limited run U.S. C Style One Sheet, but genuine examples are rare and bootlegs a major hazard. Original British Quad poster 30"x40". 4 cards shown, click for full set. 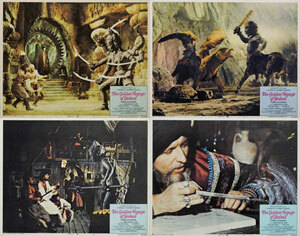 'Golden Voyage..' was Harryhausen's last great work, featuring some of the master's most memorable creations and Tom Baker excelling as the villainous wizard Koura. In 2017, Harryhausen's work and inspirations were explored in a special exhibition at London's Tate Modern. 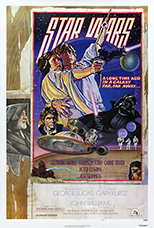 Original U.S. 41"x81" Three Sheet poster. 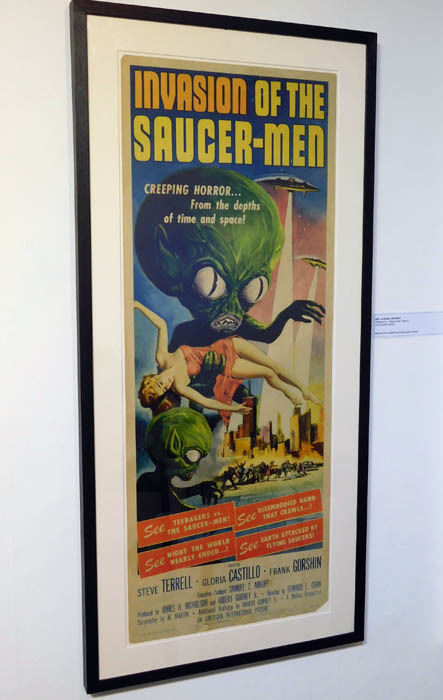 The prolific Reynold Brown was one of Hollywood's master artists across many genres, though best known for his vivid and dynamic work for Horror and Science Fiction films, for which he created now highly sought after posters. The Morlock in the corner looking alarmingly out at the viewer in close up was an inspired touch. £1200.00 linen backed and conservation framed. 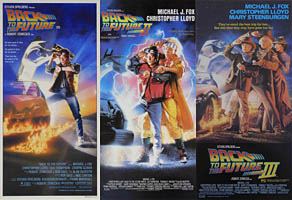 Original U.S. 14"x36" Insert poster. 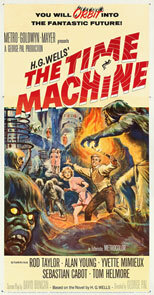 One of the most in-demand of all 50s Sci-Fi B 'classics'. Albert Kallis created memorable artwork, in particular for American International's monsters and Horror output, and was - along with Reynold Brown - the champion artist of the genre. 3 x original Australian Daybill posters, each c.27"x13". The Daybill posters are arguably the best format on the films and are increasingly difficult to find for Parts II and III in particular. 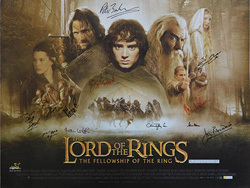 When Drew made his original poster art for the trilogy available for sale he stated: "As the movie is one story in three parts, so the classic artwork cannot be seperated. They remain one." See this comment and the original paintings on Drew's website. Please inquire. Linen backed and conservation framed. 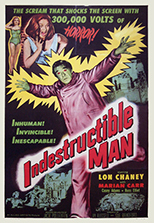 Original U.S. One Sheet poster 27"x41". Reynold Brown is a rare case of an American film poster artist of the 1950s and early 60s achieving significant posthumous recognition. Starting at Universal, he created superb artwork for numerous campaigns, but is most famous for his work in the Sci-Fi and Horror genres. 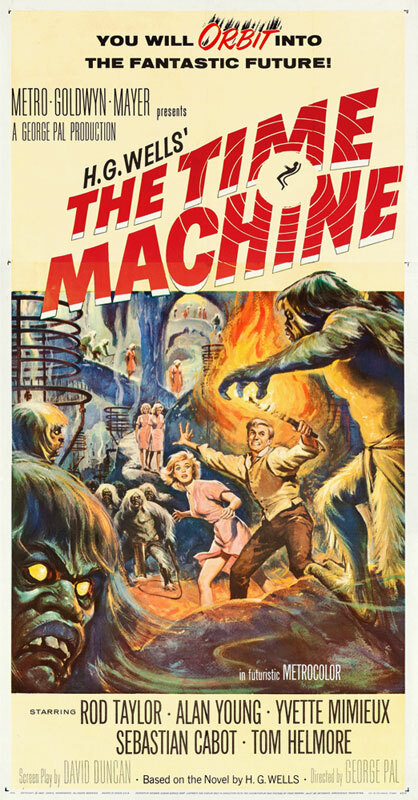 The film's plot drew somewhat from H.G.Wells's 'The Time Machine' and featured an early role for Rod Taylor. 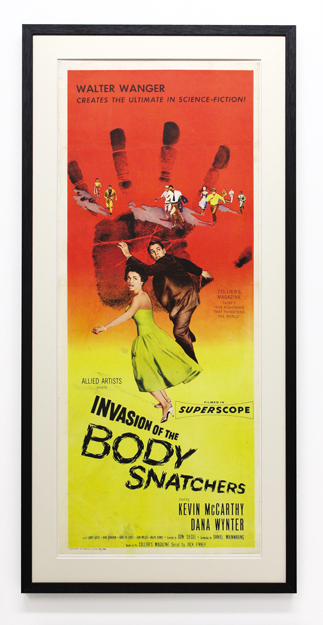 By chance, when George Pal came to film his 1960 adaptation of Wells's novel, it was to star Rod Taylor with poster art by Reynold Brown. £650.00 linen backed and conservation framed. 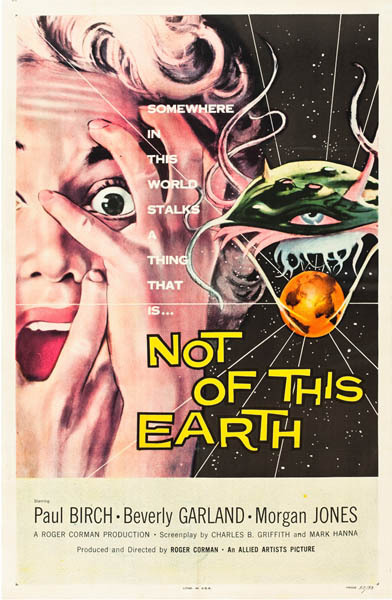 The films may have been low budget, but 50's science fiction 'B' movies habitually compensated with spectacular artwork, with few better examples than for this rather well-regarded Roger Corman tale of a blood-seeking alien stalking Southern California. Original U.S. One sheet 41"x27". The epitome of the 1950's American sci-fi B-movie poster. Lon Chaney, Jnr, most famous for his portrayal of Universal's 1941 'The Wolfman', was the son of (truly) legendary silent film star Lon Chaney, 'the man with the 1000 faces'. V. Good condition. £550.00 linen backed and conservation framed. 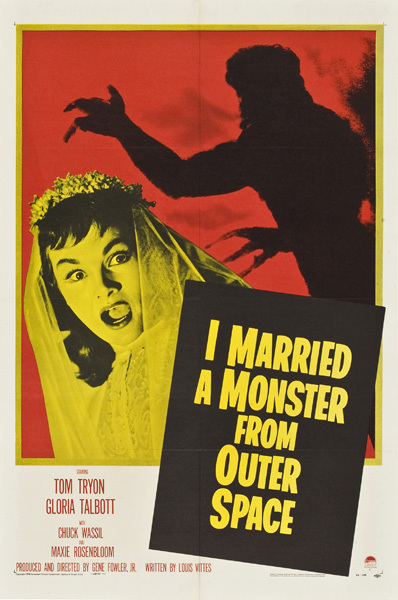 Shot in moody black and white, 'I Married A Monster..' was originally intended to headline a double bill with Steve McQueen's lead debut 'The Blob', but was relegated to the support slot when preview audiences showed their preference for the inferior but full colour McQueen feature. One of the classic posters of its era. £585.00 linen backed and conservation framed. 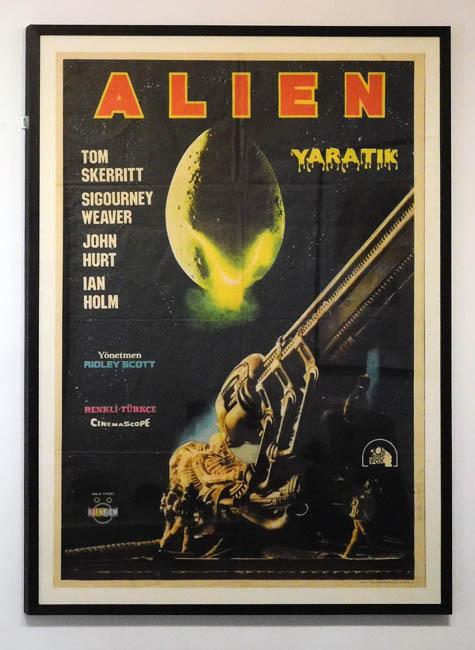 Unlike all other first release posters this features the discovery of the mysterious 'Space Jockey' by the crew of the Nostromo (here for scale played by Ridley Scott's and cinematographer Derek Vanlint's children). Original 30"x13" Australian Daybill poster. The Australian poster features the superior U.S. Style B artwork that captures the film's famous final frame. 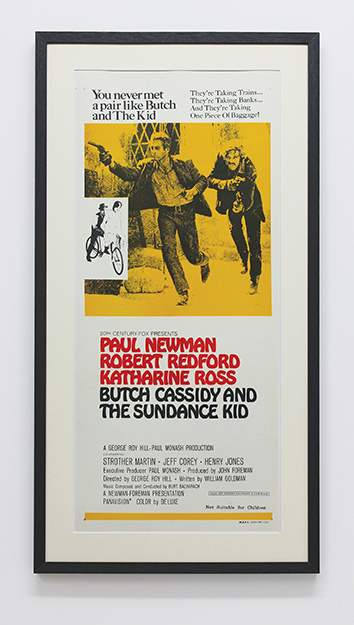 The two stars both offered major nods to the film in later years, with Newman's The Hole in the Wall Gang Camp charity and Redford's Sundance Institute and film festival. 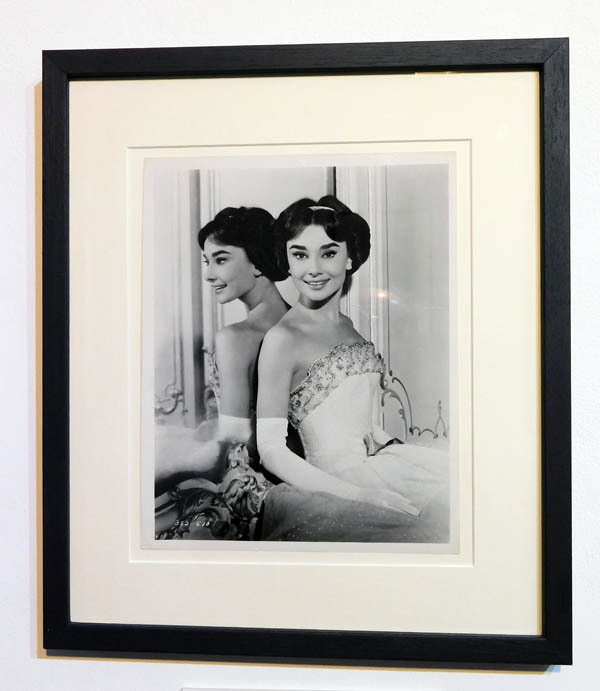 £485.00 linen backed and conservation framed. 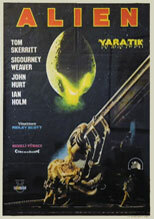 Original 30"x13" Australian Daybill poster, 1973 re-release. This very early re-release unusually kept the original design, but toned to an attractive red. 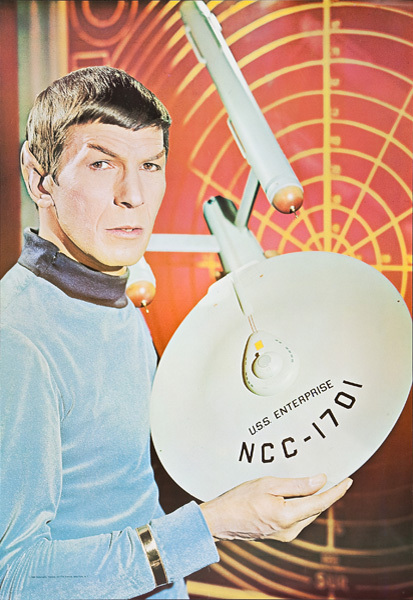 Original 1966 Personality Poster 26¼"x"41"
Leonard Nimoy is holding the early 'three foot model' version of the Enterprise designed by the series art director Matt Jeffries and built by Richard Datin in November 1964. 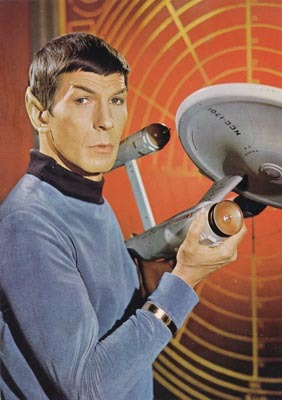 It was later slightly modified, which means that this shot of Spock was taken before April '66. The model was intended originally to be a preliminary to the planned larger shooting model and as a prop for publicity photographs (as here), but was in the end used as the effects model in the pilot episode 'The Cage'. See an alternate shot from this publicity shoot. Original U.S. Insert poster 14"x36". 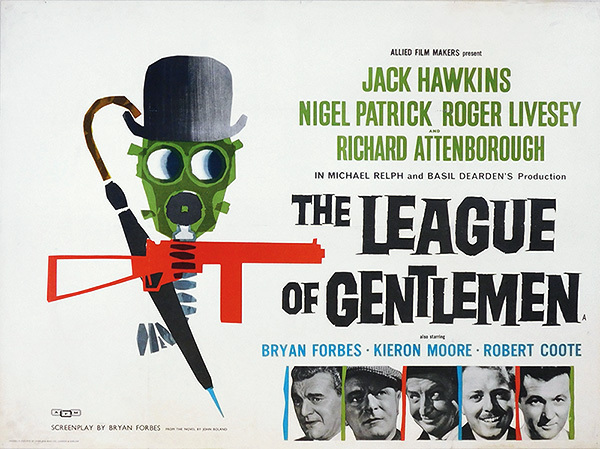 Brilliantly adapted from Patricia Highsmith's 1950 novel, this was Hitchcock's personal favourite of his films. 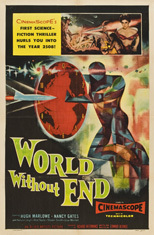 An early design by Bill Gold, who became head of poster design at Warners in 1947. This is a fine example of the Insert poster, with strong original colours. 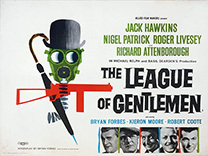 Bass's campaign for the film was a landmark in modern graphic design. Elmer Bernstein's hard-edged modern jazz score was equally groundbreaking and influential. 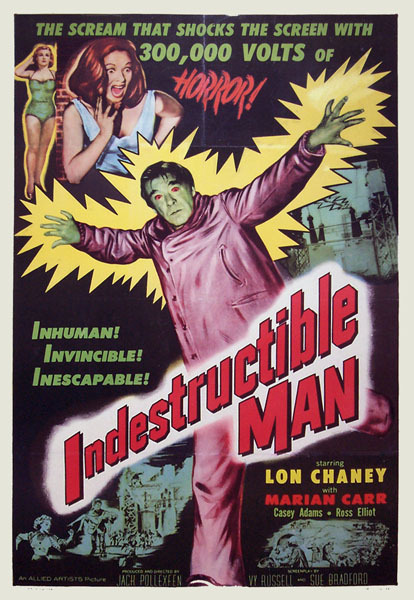 This version of the poster design was nicely reworked for the 1960 re-release. 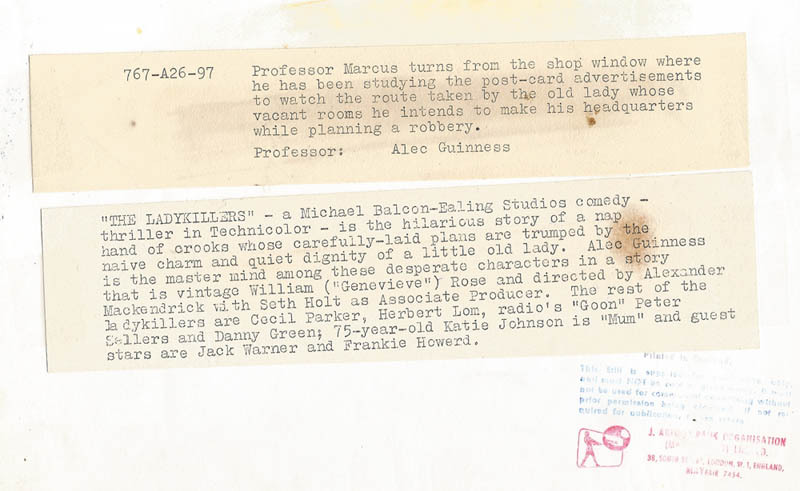 Note stamp from further 1965 re-use, a year in which Sinatra had three new films out. Scare poster for Don Siegel's all-time classic science fiction thriller. Anti-McCarthy warning or Communist takeover parable? However viewed, the film's impact remains undiminished. The Insert poster's design is even more dramatic than that of the 1 Sheet. V. Good condition, with strong original colours. £1350.00 linen backed and conservation framed. Long the subject of debate as to how much the director's hand was really that of producer Howard Hawks, the film was a groundbreaking fusion of horror and science fiction. The title lettering looks forward 30 years with striking similarity to Rob Bottin's special effects in the John Carpenter re-make. 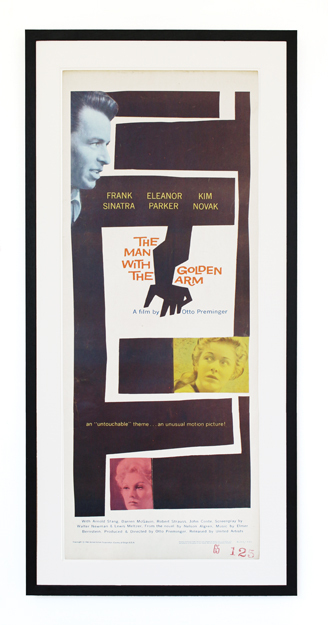 The Insert is the most sought-after poster on the film and this example has exceptionally strong original colour. Original Australian Daybill poster 30"x13½". 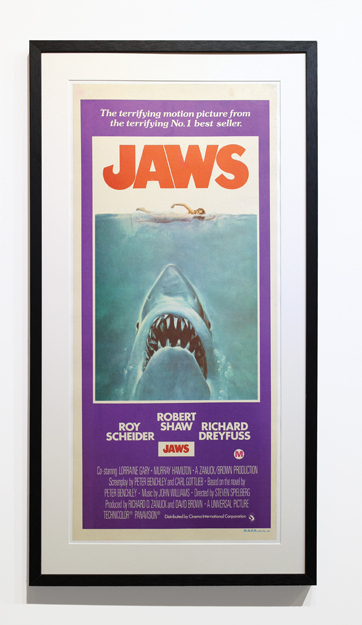 In an unusual move, Kastel's original cover painting for Peter Benchley's novel was employed for the unforgettable poster campaign. Excellent condition.